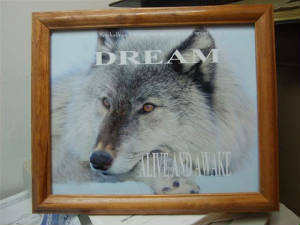 Through your sponsorship, and buying wolf gifts like the wolf tiles/backsplashes murals and wolf photos from us, you are not supporting *US* the human caretakers, any funds ALWAYS 100% go towards future educational programs, and expansion/enrichment for the wolves only, we work jobs like everyone else in life does to support OURSELVES. The wolves are not bred for profit here, nor do we make a LIVING off of their lives. AWA-AWE had humble beginnings, and believe if wild has to be in captivity, that they should have jobs and help their wild brethren through educating the public with their valuable wild messages. We believe in keeping wild; wild and thus participate and walk the talk through, partaking in ourselves, and financially supporting wildlife rehabilitation, as well as other wildlife and habitat conservation organizations. Though it is never as good as actually living free, as all living sentient beings have the inherent right to do. The wolves are given the best of everything, and their needs and welfare are of the utmost importance to AWA caretakers. Please keep in Mind there are various ways to play your own part for the conservation of the wild wolf, scroll down below to find out how you can get involved in your own community to help our wild friends! WolfEchoValley has some gifts such as our wolf tiles at the EcoPawz Gift Shop. Every little bit helps to support the cause! Do You have any friends or family that are hard to buy for on special occasions? Why not give a gift that keeps on giving? Adopt a selected wolf and sponsor educational outreach at the same time! Please let us know via e-mail whose name(s) to fill out on any adoption certificates. You can put the certificate in your loved ones name in honor. There are a few different ways you can help, and receive a token of thanks at the same time. See below for more details . We know being recyclers ourselves, that many people have the following just sitting around their yard, farm, shop etc why not recycle it for a good cause? We will gladly take the following off your hands, as long as it is in still good condition (meaning no rotting wood) The following are all VERY simple things to the average person, but to us they mean much more. 1.) Chain Link and Posts any height from 3 feet to ten feet tall and up of 9 and 11 gauge. CAN USE IT ALL NO Matter height or gauge, for these high maintenance animals. Expansion for enrichment habitats is needed PLEASE help! Taking down your old fence? please consider donating, will take down and haul away. 2.) Volunteers: Volunteers are INVALUABLE and ALWAYS needed at AWA. Do you have a few days to help and build an enclosure? 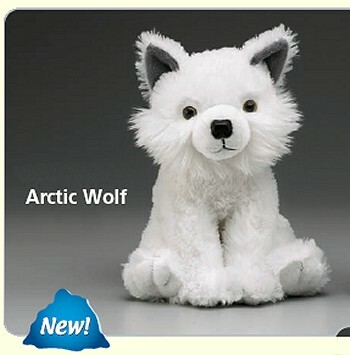 or to lend a hand to help build some enriching items for the wolves. Then come out a good meal in thanks awaits and you get to meet some great animals. 4) Meat donations/Meat Sales AWA is always on the look out for sources of raw meat and RMB's *raw meaty bones* or meat sources available for sale. PLEASE contact us let us know what you have! Any and all kinds of equipment for youth such as balls, skiis, ski poles, and boots, snow shoes, canoe, paddles, life jackets, mitts, scarves, winter jackets, bicycles, All ages and sizes have come out here and we have outfitted them, so it matters not the size that you donate, we can put it to good use here. and become a member today! 3) The old fashioned way, through filling out a sponsorship paper printing out and sending it in via the postal service. Pendant will hold a charm sized photo of your sponsored friend plus a bit of their shed wolf fur. Adopt Tibet Night Song (50.00) comes with a cert. of appreciation on recycled paper, Photo/Bio of your adopted wolf, and a glass pendant, pendant comes with a silver ball chain, that holds a bit of the sponsored animals shed wolf fur, and charm photo of wolf so you can always carry this animal in some way over your heart. Adopt Tibet for ($75.00 for the year ) and receive a cert. of appreciation with photo/bio of sponsored wolf, updates on your adopted friend, a pendant that hold a bit of the wolf's shed fur, so you can always carry this animal in some way over your heart, and a wolf paw casting of your sponsored friend. Pendant comes with a silver ball chain, that holds a bit of the sponsored animals shed wolf fur, and charm photo of wolf adopted . 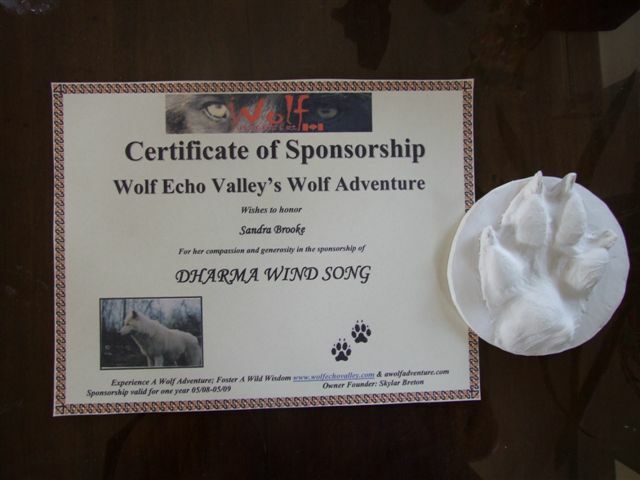 Adopt Dharma Windsong (50.00 for the year) and receive a cert. 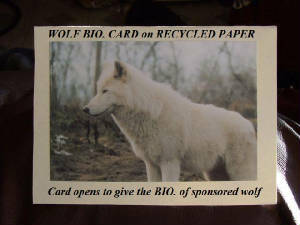 of appreciation on recycled paper and photo/bio of select wolf. Comes with a glass pendant that hold a bit of the wolf's shed fur, so you can always carry this animal in some way over your heart. Pendant comes with a silver ball chain, and charm photo of wolf adopted . Adopt dharma for ($75.00) and receive a cert. 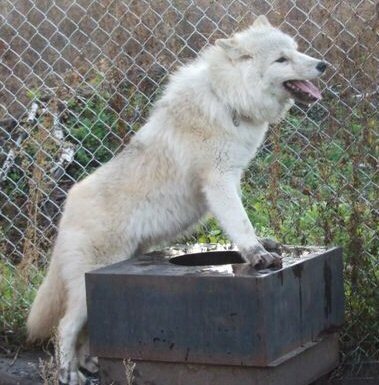 of appreciation with photo/bio of sponsored wolf, updates on your adopted friend. Comes with a glass pendant that hold a bit of the wolf's shed fur, so you can always carry this animal in some way over your heart. Pendant comes with a silver ball chain, and charm photo of wolf adopted, and a wolf paw casting of your sponsored friend. Sponsor dharma for a year! ($225.00) and receive a cert. of appreciation with photo/bio of sponsored wolf on recyled paper, photo updates for the year, a pendant that comes with a bit of sponsored animals shed wolf fur, and your choice of either a beautiful iron on t-shirt transfer of a photo of your sponsored animal on it with a wild message to be placed on any t-shirt or cloth shopping bag, or plush stuffed arctic wolf is awarded in thanks. Entitles sponsor to a special meet and greet with their sponsored animal at the Outreach. Adopt Legend (50.00 for the year) and receive a cert. of appreciation on recycled paper with photo/bio of sponsored animal. Comes with a glass pendant that hold a bit of the wolf's shed fur, so you can always carry this animal in some way over your heart. Pendant comes with a silver ball chain, and charm photo of wolf adopted. Sponsor Legend for ($75.00 for the year) and receive a cert. of appreciation with photo/bio of sponsored wolf, updates on your adopted friend, a glass pendant that hold a bit of the wolf's shed fur, so you can always carry this animal in some way over your heart, and a wolf paw casting of your sponsored friend. Pendant comes with a silver ball chain, and charm photo of wolf adopted . Adopt Paradox for ($75.00 for the year) and receive a cert. of appreciation with glossy 4 by 6 photo/bio card of sponsored wolf, updates on your adopted friend, a glass pendant that hold a bit of the wolf's shed fur, so you can always carry this animal in some way over your heart, and a wolf paw casting of your sponsored friend. Pendant comes with a silver ball chain, and holds a charm photo of wolf adopted . Adopt Eco for ($75.00 for the year)and receive a cert. of appreciation with photo/bio of sponsored wolf, updates on your adopted friend, a glass pendant that hold a bit of the wolf's shed fur, so you can always carry this animal in some way over your heart, and a wolf paw casting of your sponsored friend. Pendant comes with a silver ball chain, and holds a charm photo of wolf adopted. Adopt Eclipse for ($75.00 for the year) and receive a cert. of appreciation with photo/bio of sponsored wolf, updates on your adopted friend, a glass pendant that hold a bit of the wolf's shed fur, so you can always carry this animal in some way over your heart, and a wolf paw casting of your sponsored friend. Pendant comes with a silver ball chain, and holds a charm photo of wolf adopted . How Can I Help The Wild Wolf? 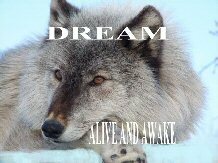 There are various ways human beings can help protect the future well-being and survival of wild wolves. Play YOUR part in the wild wisdom! 1. 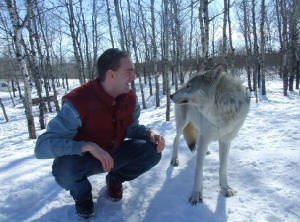 Educational talk: Talk about wolves at your school, and encourage others to learn more. Better yet if there is a wolf facility in your Province tell your teacher and friends about them. Maybe a professional wolf educator can come to your classroom to give a talk. Some places like here at AWA may even bring in a live wolf! What about a book report on the wolf? Talk to your teacher and parents and see if it is not possible to have a wolf come to your classroom. Talk about a true interactive report! 2. Organize a fundraiser : and donate the proceeds made to a wolf facility that teaches the public about wolves. This could be as simple as selling lemon aid to having a bake sale, to a Bingo Night or camp out at the school to raise funds for your chosen facility. Get inventive. 5. The 3 R’s Reduce, Re-use and Recycle. The more humans practice these three very important R’s the less we use up the earths dwindling resources. This is good for all on the planet including wildlife and their homes (natural habitat). I personally have practiced the three R's all my life since childhood. AWA leads by example in an environmentally friendly manner, and are consistently putting into practice that which we teach. The land fills, are full of articles that can be re-used, and recycled and some that never should have made it to the land fill to begin with. 7. Write letters and articles: There are various places you can write letters and articles to concerning wolves, and the environment, such as newspapers and magazines. Get inventive and creative. Maybe you have a report to do in school, what about wolves? As a school aged child, I was consistently running around with petitions, even back then to support worthy causes. 8. Learn more about wolves,and talk to others you know about wolves and what you have learned. There are even Wolf conferences held around the world, to keep anyone who is interested informed about the plight of the wild wolf. If there are any local wolf centers, support them and visit them, to learn up close and in person about these highly misunderstood animals. 9. Become a volunteer! Maybe there are some environmental organizations you can volunteer for. Check with the local zoo or humane society! 10. Politics! When you are old enough to vote, get involved and vote for those who care about the environment, and what kind of world your children and your children’s children will inherit and live in. 11. Ecological Footprint: Be responsible and aware of your choices on a daily basis, and how those choices may impact the environment for either the better or the worse. Buy more raw foods in bulk to reduce smaller packaged items. When shopping bring your own reusable cloth bags so you do not need to use plastic bags. Ride your bike as much as possible instead of driving the car, if living in the city try either using a bike, to bike to work with, or pair up and ride with a co-worker. If you like to ride dirt bikes please don't ride them in the forest, and in natural environments where not only the exhaust fumes add to environmental pollution, but also add to the noise pollution which can disrupt the wild residents natural courses of travel, not to mention the horrible destruction of their natural grounds that tires rip up. You are in someone else's back yard, please treat it with respect. Please sit down and think of alternatives in your lifestyle that have as little negative impact as is possible to the environment. Turn off lights when not in usage, turn off radios and T.V's, take showers more often, use cloth diapers (not only do you DRASTICALLY cut back at the landfills with this single suggestion alone, but your baby will be potty trained MUCH faster!!! ), and stop using dishwashers.